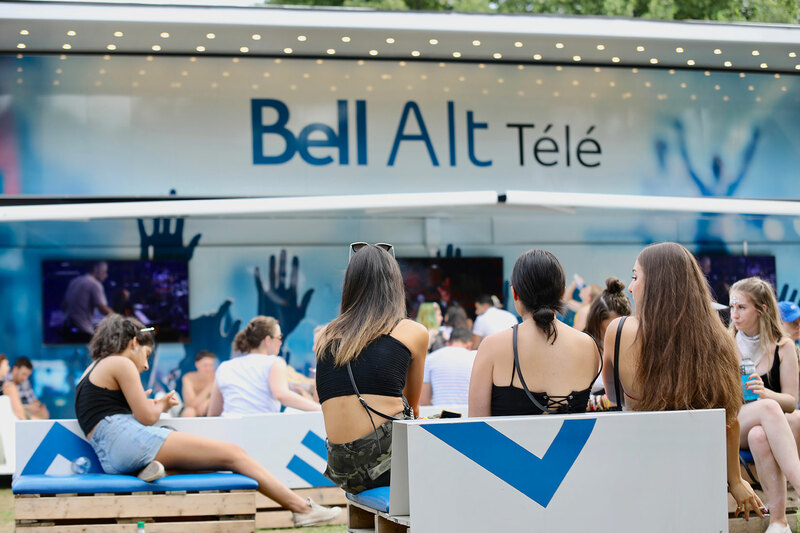 As a sponsor of the iconic Osheaga music festival, Bell wanted to own the event in terms of share of impressions, specifically to support its ALT TV streaming product. So Loki designed and fabricated 10 giant smart phone, tablet and laptop frames, each with a unique backlight feature, that were then set up at strategic locations. 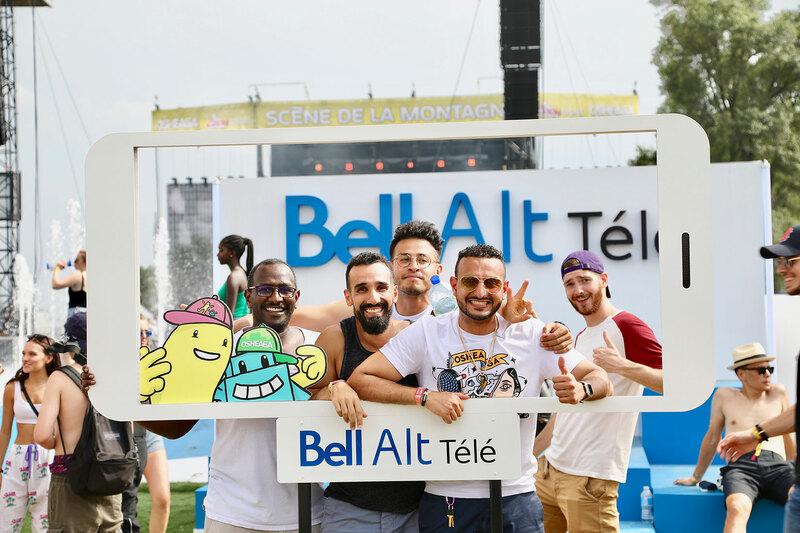 The idea was people could grab their friends, jump into the frame and have their picture taken. 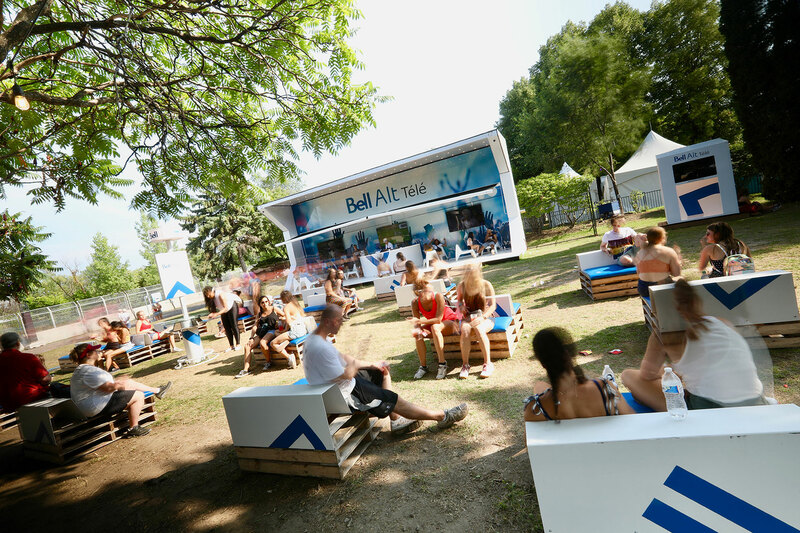 The giant devices were literally everywhere on the festival grounds, including on the Montreal Casino Osheaga Terrace, which had a perfect view of the Bell AlT TV River Stage. 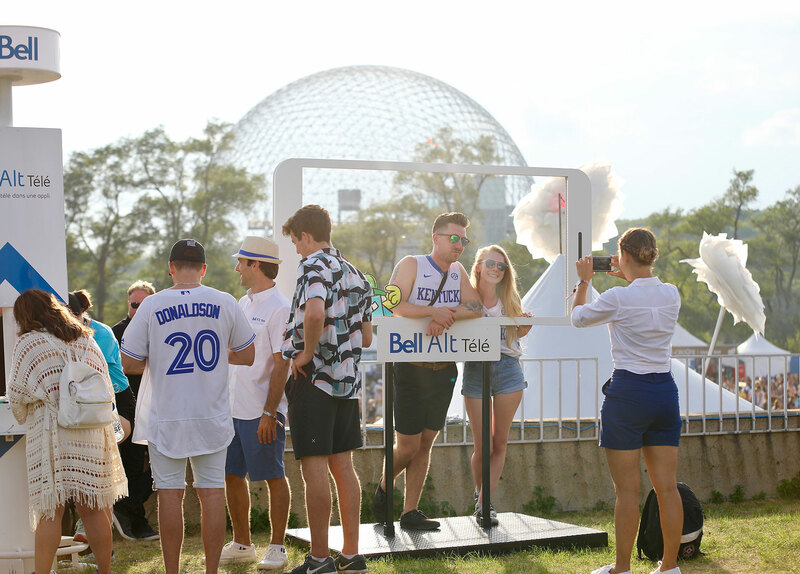 And music fans took advantage of them in droves! 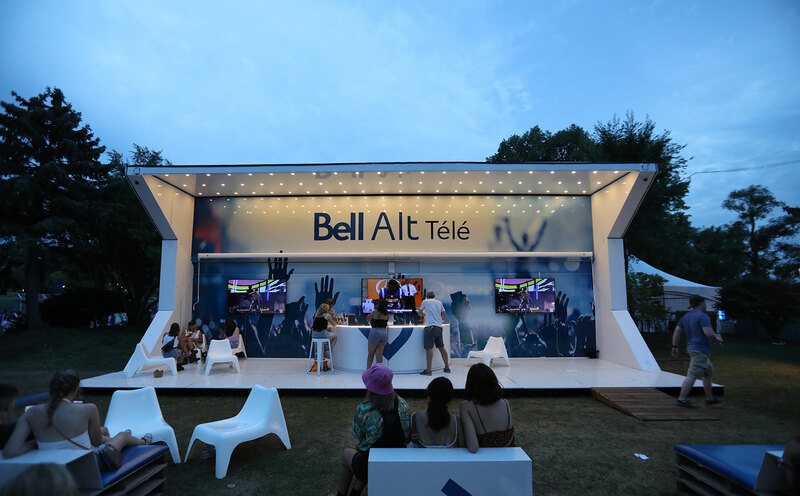 Bell went with an impressive fully branded Split 40 container booth with its innovative diagonal hinge and full 16’ pop-up height as ground zero for its festival activation. 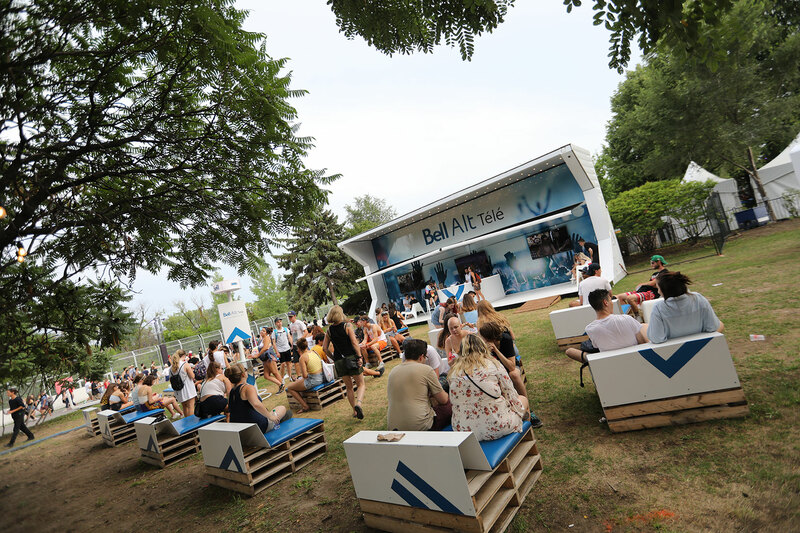 So while the ALT TV service was streaming television shows inside, a constant stream of guests came and went outside, some staying for a while to learn more about the product at a semi-circular bar or to chill on branded pallet seating placed around the booth. 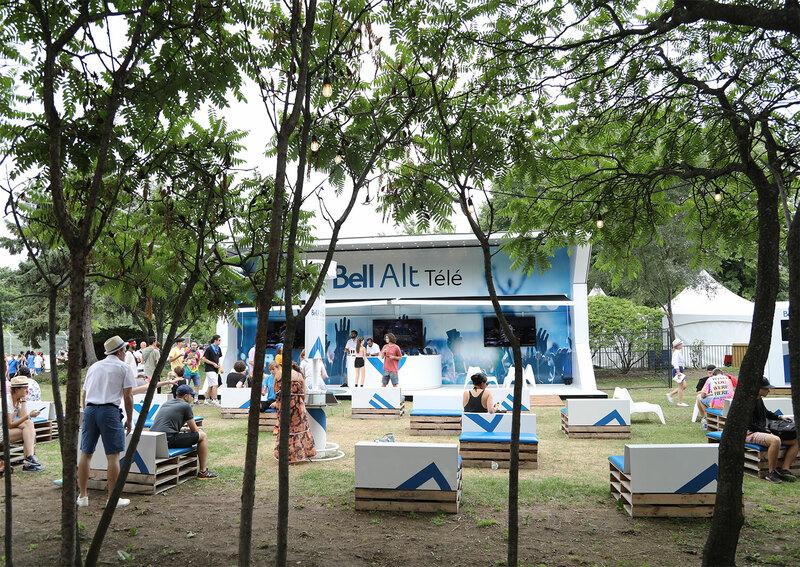 Others took advantage of Bell’s convenient charging stations. 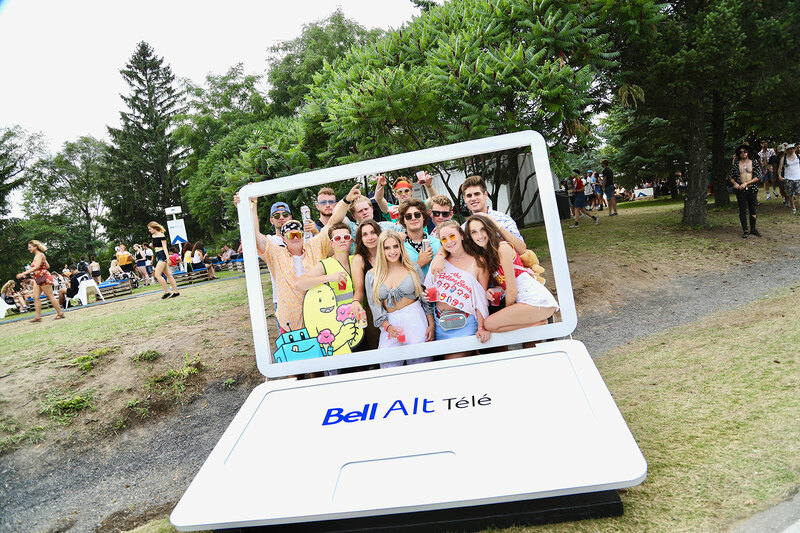 ALT TV promises viewers all their favorite shows on one app, on any device, and to demonstrate, Bell and Loki Box Design developed giant empty frames that were super realistic effigies of smart phones and laptops that passersby could climb into while people took their photos. 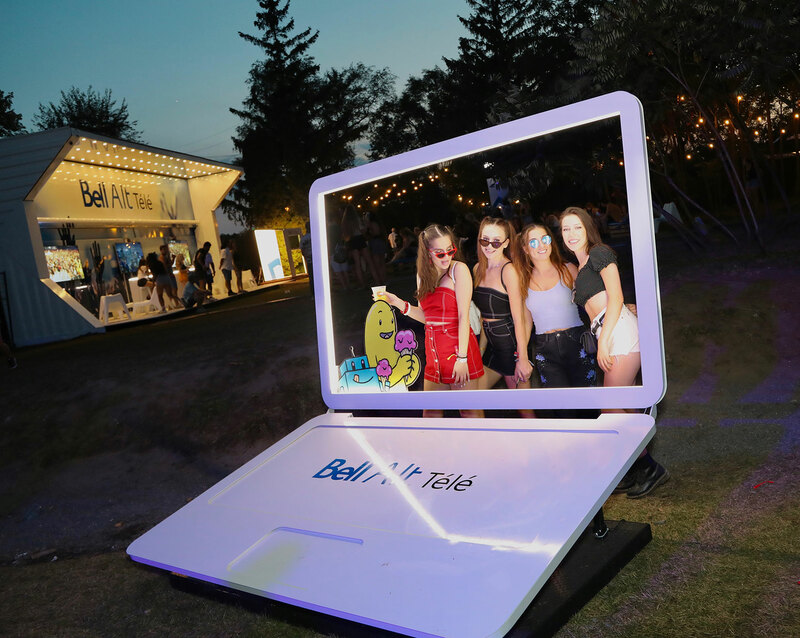 The digital era branded marketing photo booths − four vertical phones, four horizontal phones and two laptops − were distributed all around the festival grounds. 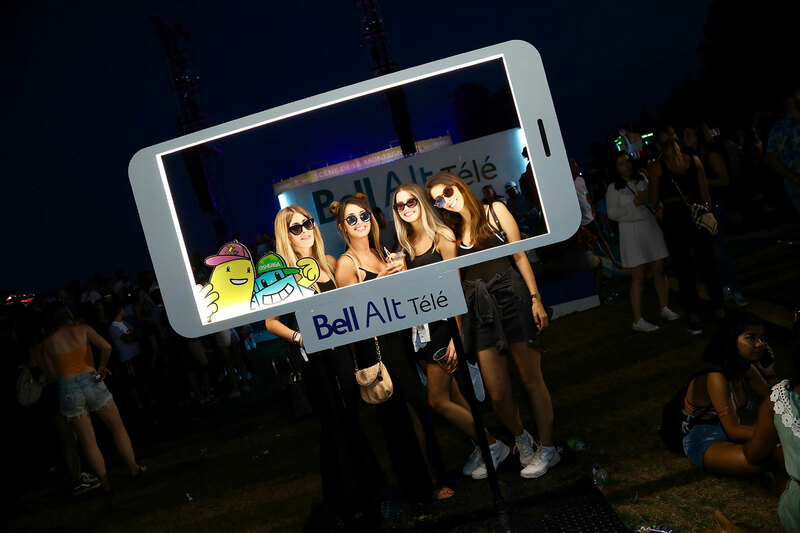 The fun activity and resultant photo sharing on social media were a huge hit and gave the music festival that community feeling while firmly getting across the versatility of Bell’s ALT TV service. 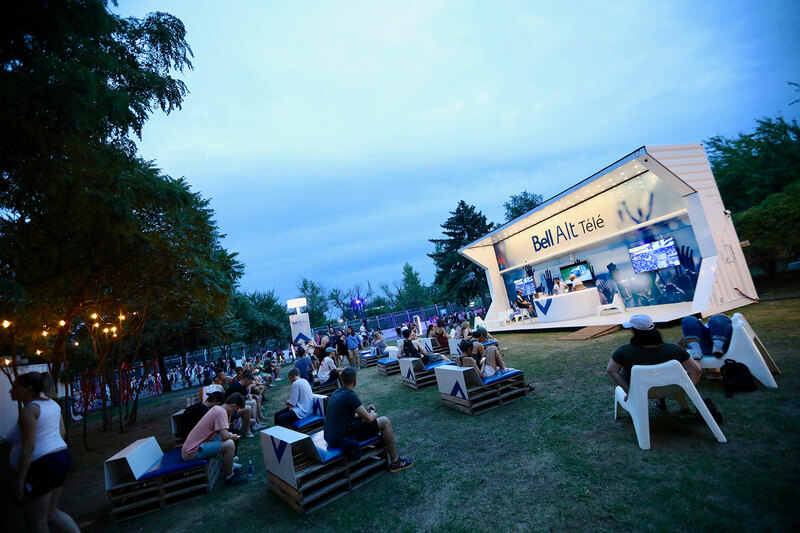 It was a marketing activation that truly embodied the product’s attributes in a big way!